Hollywood blockbusters and English entertainment channels are the new cash cows. When the Paul Walker, Dwayne Johnson and Vin Diesel starrer, Fast & Furious 7 hit the Indian screens in April this year with an adult certification from the Indian censor board, it left teenagers across the country immensely disappointed. However, what came as a big surprise to everyone is that this 'adults only' certified film went on to become the first Rs 100 crore grossing Hollywood film in India. The earlier version of the film had raked in a revenue of just over Rs 50 crore. With Internet penetration increasing, smartphones and tablets becoming a way of life, there are no second thoughts that the average Indian is far more exposed to global content than even five years ago. In fact, 2015 is clearly a landmark year for Hollywood blockbusters in India. Soon after Fast & Furious 7, Avengers 2 and Jurassic World were released and both of them have grossed revenue upwards of Rs 100 crore. In fact, Jurassic World's box office collection in the first week itself was Rs 50 crore, which is at par with the kind of revenues that a Bollywood A-list film like Happy New Year or Kick generated in the first week of release. "We are releasing big tentpole Hollywood films even before they are released in the US," says Amrita Pandey, Vice President and Head (Marketing and Distribution Studios), Disney India. The studio released Avengers 2 in India in May this year. In a country of 1.2 billion, over 210 million speak and consume content in English. This number is expected to grow to 250 million in the next couple of years. The English speaking population is 10 times higher than a decade ago, when it was about 25 million. "Therefore, English entertainment is becoming increasingly important for not just the studios but also the broadcasters," says Sudhanshu Vats, CEO, Viacom 18. The entertainment company, which already has a bouquet of English Entertainment channels, such as Comedy Central and VH1, has recently launched its English general entertainment channel, Colors Infinity. Its studio arm would be shortly releasing Mission Impossible in India. While the likes of Disney are hugely focused on marketing their Hollywood releases in the Hindi speaking and vernacular markets where they dub the film in local languages, Universal Pictures, which released Fast & Furious 7 and Jurassic World in India, has changed its distribution strategy. The studio, weeks before the release of Fast & Furious 7, decided to move away from the Motion Pictures Association norm of releasing films only on 2K platforms (a digital technology which is mostly offered by large multiplex chains in India), and released it on non-2K digital platforms also. "One of the reason for this norm was security and quality issues. Markets across the world changed to 2K, but India didn't do as extensively. We got only 2,000 screens as per 2K standards. In non-2K there are over 6,000 screens," points out Sarabjit Singh, General Manager, NBCUniversal. "For the first time Hollywood films gave us such handsome returns," agrees Ashish Bhandari, CO-Founder and Joint Managing Director of United Media Works, a non-2K digital distributor in several Indian states. All the studios are marketing their films just the way they market Bollywood films. 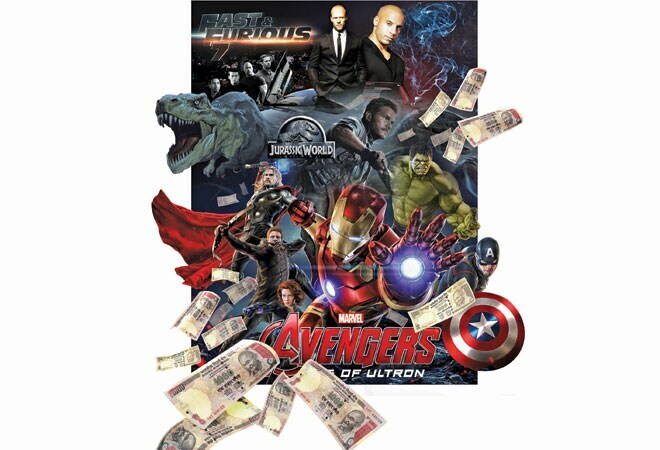 For Avengers, says Pandey, Disney created life-size figurines of the characters and did a spate of promotional activities across cities, apart from advertising on leading Hindi and vernacular TV channels and newspapers. "We marketed the film like a Hindi blockbuster and we also did cross promotions. For instance, we launched the ABCD2 trailer during the Avengers screening." The advertising and promotion budget of most big Bollywood films is in the region of Rs 10 crore. Pandey of Disney says that promotional spends for Hollywood releases is rising though they are not as much as Bollywood films. Why didn't a Hindi film like Dil Dhadakne Do not do as well in a market like Kanpur or Indore as a Fast & Furious or Avengers? The unanimous opinion is that action films always do well in small town India. "Action is language agnostic," points out Vats of Viacom 18. Singh of Universal Studios agrees that Hollywood action films do have takers in Tier-II and III markets because of their high quality special effects. "We may not embark upon such a widespread distribution strategy when we release a film which is non-action," he says. The viewership of English channels has soared by over 30 per cent in the last one year. According to Navin Khemka, Managing Partner at Group M's media agency, Maxus, there is a 43 per cent jump in commercial time sold on English general entertainment channels and a 15 per cent increase on English movie channels. In fact, M.K. Anand, CEO, Times Network, claims that the ad price of his channels, Movies Now and Romedy Now, have gone up by 50 per cent in the last one year. "HD channels are giving advertisers an effective way to reach out to segmented high end audiences. Also, latest content is being aired at the same time as the West and that is also drawing viewers," explains Khemka. No wonder, most big broadcasters are launching their second or third English channels. The last couple of weeks has seen the launch of three new channels - two of them are movie channels, Star Movies Select and MN+, and the general entertainment channel Colors Infinity. The major trigger for the growth in viewership is obviously digitisation. "Digitisation has enabled us to offer a wider range of channels not only in the traditional English footprint of one million plus metros, but also in smaller markets which has a sizeable English viewing population," says Anand of Times Network. He says that his network, in the last year-and-half, has made its channels available in 1,400 digital networks as opposed to 250 earlier. "The viewership of our channels was just eight to 10 per cent, today, it's over 22 per cent," says Anand. 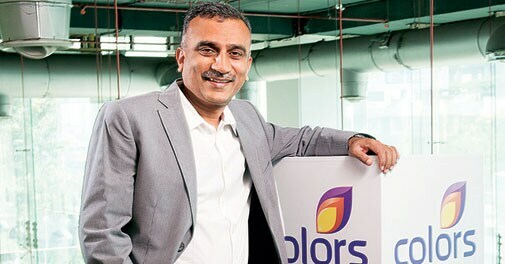 Vats of Viacom 18 says that English channels contribute about five per cent to his company's overall revenue of Rs 2,000-odd crore, which he expects to increase to at least 10 per cent in the next three to four years. He is hopeful that the English genre will make a giant leap once digitisation is rolled out completely. "Once packaging happens the discovery of people wanting to consume the English genre will go up drastically." English entertainment has for sure reached an inflexion point in India. Be it TV shows such as the Game Of Thrones and Two and a Half Men or films such as Avengers and Transformers, there are enough takers. But we are still some distancee away from markets like China, where Terminator raked in $250 million, which was higher than what it garnered even in the US. The stumbling block here is nothing but infrastructure. India has 13,000-odd screens for a population of 1.2 billion. There are hardly 12 screens for every one million people. In contrast, the US has 120 screens per million people. Clearly, the demand for English entertainment in India is set to jump exponentially in the days ahead.